There’s worst teams to be supporters of this week, Albrighton rises to the challenge and it can’t get any worse, can it? No home win against Manchester United since 1995, another lacklustre performance at home, a defence down to its bare bones and growing questions regarding Paul Lambert. 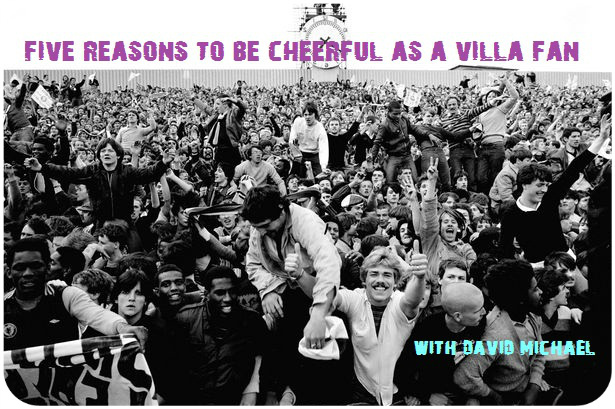 So what’s there to be cheerful about as a Villa fan? 1. We weren’t Spurs on Sunday. After being 2-0 down so quickly, it could have been an embarrassing tonking by United. Some Villans are wishing Lambert would go the same way as AVB, but it’s too early for that and the Villa results don’t back it up at the moment. 2. At least Marc Albrighton bothered to turn up. He certainly looks up for the fight of making a contribution for Villa and eventually winning a new contract. 3. Although it’s far from panic station time (we did just go five games unbeaten), Villa’s next three games are Stoke (a), Crystal Palace (h) and Swansea (h), which surely presents Lambert with a chance to get Villa back on track. 4. What were the Baggies doing getting rid of Steve Clarke so early? They had a decent season last year, have beaten Manchester United this season and were a whisker away from three points at Chelsea too. If Villa didn’t fight back from 2-0 down in the derby, then Clarke might still be in a job. As for who’s going to be the Pride of the Midlands this season? Look no further than Villa now. 5. Performance-wise, it can’t get much worse. You’ve heard it here first…hopefully!